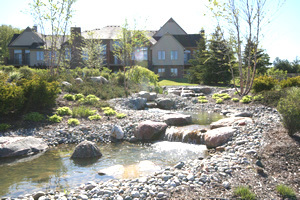 Building under the name of Summit Condo Development, Crane Construction was the exclusive condominium builder within The Falls II of Hidden Lake, one of Livingston County’s premier lakeside developments. Crane Construction is a preferred builder of single-family homes in Hidden lake, located in Green Oak Township. We look forward to meeting with you and helping you make your building project vision a reality. As a preferred builder, we are well-suited to build the home of your dreams in Hidden Lake. Please contact Carol @ Griffith Realty at 810-227-1016 or Steve @ Crane Construction at 810-229-9161.